Academic Adrian Guelke, who specialises in the politics of deeply divided societies, analyses the impact of Brexit on British-Irish relations. Speculating about British-Irish relations after Brexit presents a couple of problems, hence the question mark in the title of this piece. In particular, the topic may end up having about as much value as the subject of Soviet-American relations after the end of the Cold War. In this case, it is the British bit that would become anachronistic. Alternatively, precisely because of the complications thrown up by the Irish Question, Brexit itself may ultimately founder. As it is, the inability of the Brexiteers to solve the riddle of the Irish border has already dented their solipsistic dreams of Empire 2.0. As of February 2019, a "no deal" Brexit, accidental or otherwise, or the abandonment of Brexit seem to loom larger as possibilities than either May's securing of sufficient concessions from the EU to secure parliamentary backing for a revised version of her deal or her changing her red lines to facilitate a soft Brexit. However the current crisis plays out, it is virtually impossible to overstate the importance of Brexit to relations between London and Dublin. To understand why, we need to go back to the early years of the Troubles in Northern Ireland. After Bloody Sunday in January 1972, the British government changed course. The Prime Minister of the day, Ted Heath, came to the conclusion that suppression alone would not end the conflict and recognised that a radical restructuring of the political system in Northern Ireland, with the inclusion of an Irish dimension, was required. From then on, except briefly after the fall of the power-sharing Executive in May 1974, in the aftermath of which the Labour government sought an internal settlement and the Republic of Ireland battened down the hatches, British and Irish governments worked together to manage the conflict and to create the conditions for a political settlement. In 1972 the British government justified the policy to accord the Republic of Ireland a role as guarantor of the nationalist minority in Northern Ireland, explicitly on the basis that both countries were about to become members of the EEC. The partnership of the two countries within the EEC meant that both states had a continuing interest in ensuring that the conflict in Northern Ireland did not become a source of friction between them and that they were not manipulated by any of the factions within Northern Ireland, to the detriment of British-Irish relations. A measure of their success was the credence given to the saying that the two governments sang out of the same hymn sheet. The culmination of the efforts of the two governments was the achievement of the Good Friday Agreement in April 1998. Important stages in the process were the Anglo-Irish Agreement of November 1985, the single market, the paramilitary ceasefires of 1994, and the EU special programme for peace and reconciliation in Northern Ireland and the border region of Ireland, inaugurated in 1995. Except for the Good Friday Agreement itself, all these developments took place under Conservative governments, a legacy currently being trashed by Tory Brexiteers. By contrast, from the Sunningdale Agreement of December 1973 onwards, the two main Unionist parties were opposed to any role for the Republic of Ireland in Northern Ireland affairs and they protested vociferously against the Anglo-Irish Agreement. However, both parties eventually accepted the Good Friday Agreement. The Ulster Unionist Party endorsed the accord from the outset, while the Democratic Unionist Party (DUP) ended its opposition after the St Andrews Agreement of 2006. Euroscepticism dominated both parties. However, a minority of liberal Unionists took a positive view of European integration. In particular, they saw the development of a seamless border between Northern Ireland and the Republic as helping to lessen the grievance of partition and thereby contributing to peace. The issue of EU membership did not arise in the negotiations leading up to the Good Friday Agreement for two main reasons. Firstly, the British and Irish governments simply took it for granted that the two countries would continue to be members of the EU, as references in the text of the Agreement to the countries as partners in the EU underlined. Secondly, the hostile reaction of the Unionist parties to the framework documents of 1995 in which the two governments connected cross-border co-operation to the progress of European integration ensured that this specific linkage was avoided in the Good Friday Agreement, so as not to alienate Unionists. Consequently, the role of the EU in Northern Ireland's peace is somewhat understated in the text of the Good Friday Agreement itself. The real contribution of the EU to peace is most visible in the borderlands of Northern Ireland and the Republic, where the investments of peace funds from the EU have led to exponential growth in cross-border businesses, particularly in the agri-food sector, all of which are put at risk in the context of Brexit. In a speech in Belfast on 5 February 2019, the Prime Minister, Theresa May, sought to reassure a hostile business audience over the latest developments in the Brexit negotiations, including her own volte-face over the backstop. Objections to the backstop had been one of the main reasons why the Withdrawal Agreement had been rejected by the House of Commons and she made it clear that her sole motivation for seeking changes to this aspect of the deal was to secure parliamentary approval for her deal. Unexplained was what form such changes could possibly take that would not vitiate the very purpose of the backstop, which is to guarantee the survival of a frictionless border between the two parts of Ireland, regardless of the outcome of negotiations on the future trading relationship between the UK and the EU. The weakness of her position was underlined by a section of her speech in which she bizarrely proclaimed: "Northern Ireland does not have to rely on the Irish Government or the European Union to prevent a return to the borders of the past. The UK government will not let that happen. I will not let that happen." The Prime Minister obliquely acknowledged the damage that the negotiations over Brexit had done to British-Irish relations by suggesting a number of steps that might be taken to enhance relations between the UK and Ireland after Brexit. They included the possibility of a joint British-Irish bid to stage the finals of the World Cup, as if the warm feeling generated by a brief sporting event might somehow repair the damage done by the negotiations on Brexit, during which the Irish government has regularly been demonised as seeking to put obstacles in the way of the democratic wishes of the British people or derided as pawns of EU scheming. 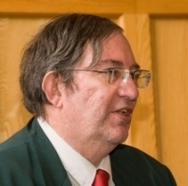 Adrian Guelke is an Emeritus Professor at the School of History, Anthropology, Philosophy and Politics and the Senator George J. Mitchell Institute For Global Peace, Security and Justice at Queen's University Belfast. He is Editor Emeritus for the journal, Nationalism and Ethnic Politics and is the author of a number of books including 'Politics in Deeply Divided Societies'.